Former Eat Bulaga! host Keempee de Leon joins 2018 ABS-CBN Christmas station ID. After 16 years, Keempee de Leon is set to appear again in a Christmas station ID of ABS-CBN. The former Eat Bulaga! 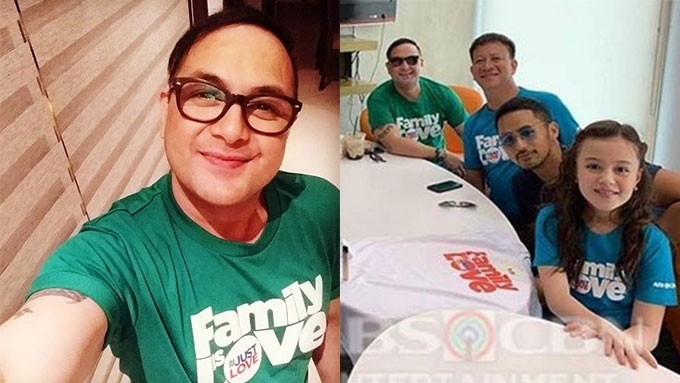 host posted his photo wearing the #FamilyIsLove shirt on Instagram on November 11, the day Kapamilya stars gathered for the annual Christmas station ID shoot. He wrote in the caption, "Abs-Cbn Station ID shoot #FamilyisLove Thank you@abscbn"
Abs-Cbn Station ID shoot????#FamilyisLove???????? ?Thank you@abscbn????? #ThankyouJesus???????? The last time Keempee appeared in a Kapamilya Christmas station ID was in 2002, when he was still part of the late-night comedy gag show Klasmeyts. 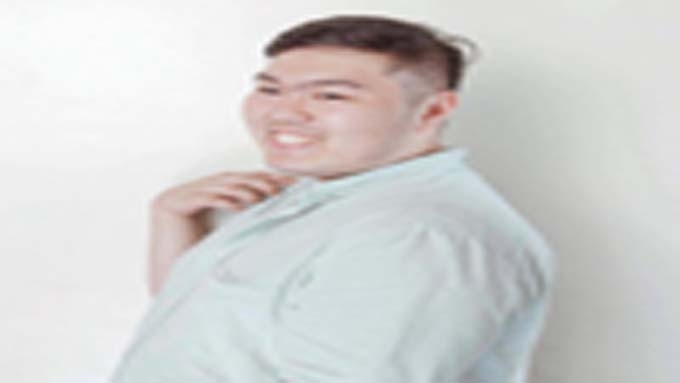 In October 2017, ABS-CBN's RSB Drama Unit announced that Keempee is making a Kapamilya comeback via the upcoming series Nang Ngumiti Ang Langit. 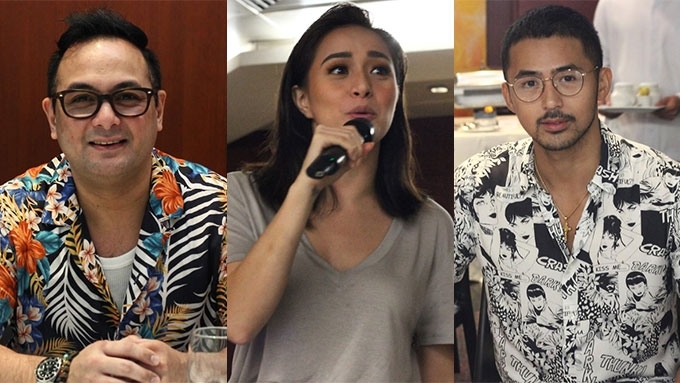 This show features Cristine Reyes, RK Bagatsing, Matet de Leon, and Enzo Pineda, among others. RSB Drama Unit is ABS-CBN's drama production unit headed by Ruel Bayani. The unit's social media accounts also posted behind-the-scenes photos of Keempee with his other co-stars at the station ID shoot. After the story conference of the upcoming teleserye, Keempee appeared in the Kapamilya sitcom Home Sweetie Home as a guest. In 2004, Keempee appeared in GMA-7 shows, after he joined his father Joey de Leon in Eat Bulaga! as a host. The younger de Leon was tapped to do various roles in the Kapuso Network's teleseryes and other programs. 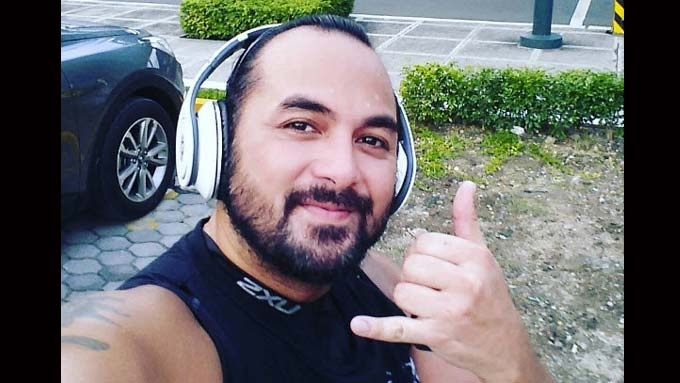 In 2016, however, Keempee revealed that he was removed from Eat Bulaga!, without divulging the reason why. His last Kapuso appearance was in the 2018 comedy-drama series Inday Will Always Love You.